Holiday to Bali would definitely choose the beach as the main goal. Bali is known for beautiful beaches and diverse. Not only Kuta and Sanur, Bali is now increasingly recognized by the beach that become a new destination for a vacation. It is Canggu beach. Attraction of Canggu Beach is very different and still very virgin. If you feel bored with Kuta Beach, came to Canggu Beach, Bali. 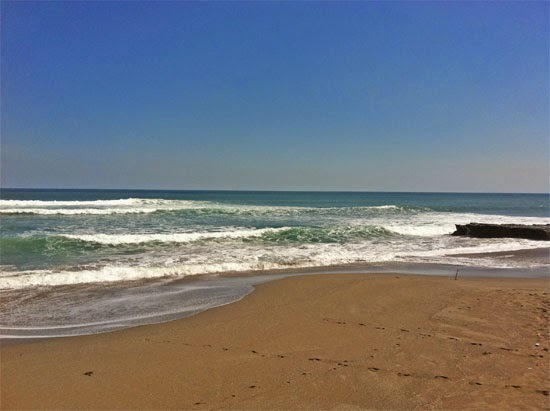 This beach is located in the village of Canggu, District of North Kuta, Badung. Canggu Beach has been named the "World's 100 Best Beaches" by CNN in 2013 and because of its beauty that really fascinating. Although the sand on the beach is not white, but the beauty of the scenery around the coast so fascinating. The appeal of Canggu Beach is a lot of, a lot of surfers who choose to surf in Canggu because the sea waves fit for surfing. Ocean waves are very good because it is not too high or low, very suitable and appropriate. Canggu Beach is increasingly recognized for its beautiful rice fields and beaches are in one place. So that tourists can enjoy while visiting the rice fields are still deserted beaches. To meet the needs of visitors, accommodation facilities have begun to be built around the beach. Every month the number of visitors continues to grow, mostly foreign tourists. Tourists are surfers, and mostly from Australia. Because the number of visitors that more and more, here began to be established in the form of villas and many homestay accommodation. But the government's role in monitoring to control the number of hotels and villas. In order Canggu not turn into a crowded city like Kuta. Not only surfing, tourists can perform such activities to do at other beaches in Bali. Visitors can play sand, sun bathing, enjoy the sunset on a quiet afternoon, playing in paddy fields belonging to citizens, and many more. The tourists will get a different atmosphere when they're at the beach. Enjoy the beauty of the field while strolling on the beach. Canggu Beach is located in line with Kuta Beach, Seminyak and Legian Beach. Because they are on the same region. This beach is located on the north beach of Kuta (Seminyak and Legian), so it is very easy to find Canggu Beach. 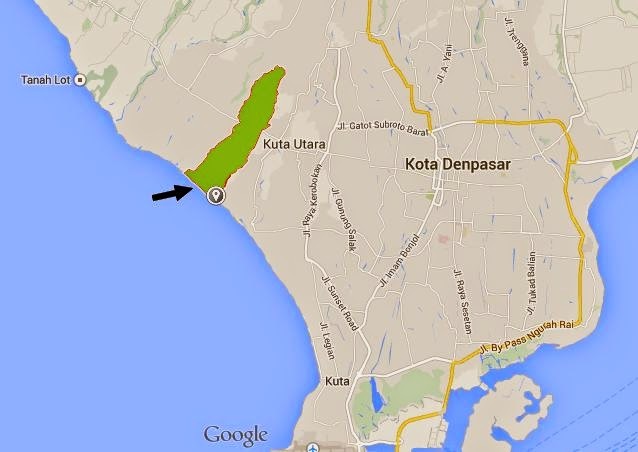 It's just going to be very far to walk from Kuta Beach Canggu. Travelers have to go through the main road heading north through road traffic congestion always occurs.